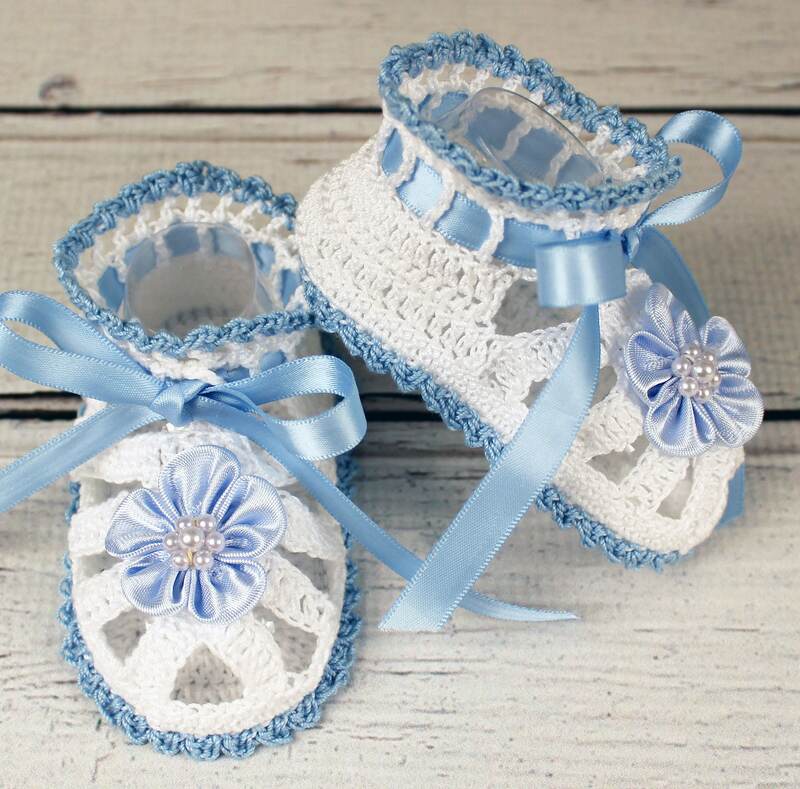 Crocheted White & Blue Baby Booties Sandals - 3-6 mos. 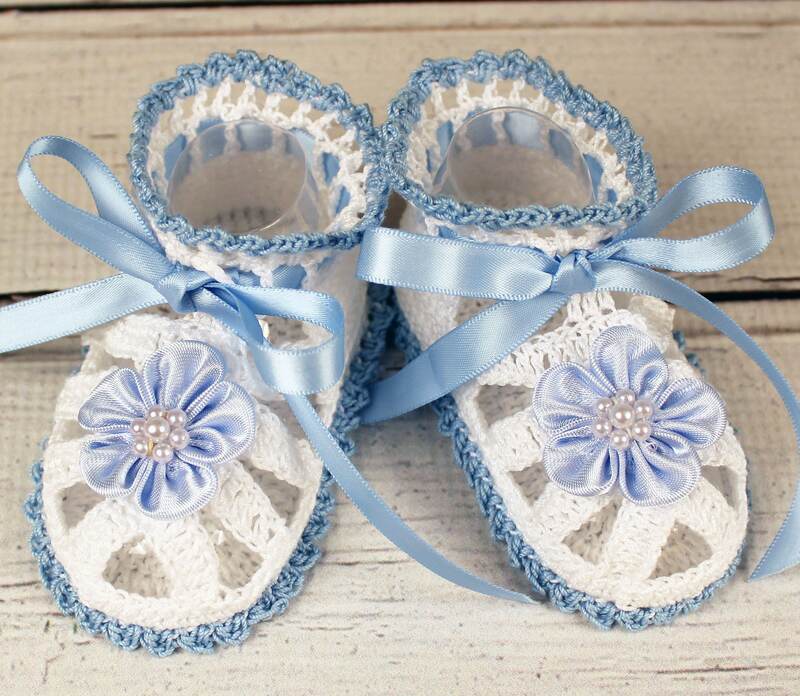 Hand crocheted to fit a baby 3-6 months with sole measuring approx. 4 inches. 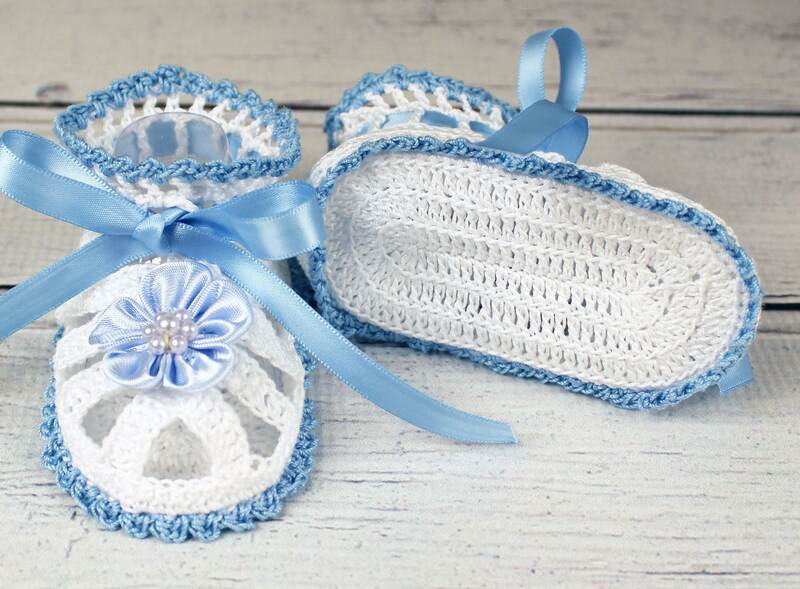 I used 100% cotton crochet thread in white and delft blue and embellished them with satin ribbon & satin flowers with pearls. Because they are cotton, hand wash and air dry to avoid shrinkage.